Our response to Cherwell Local Plan Partial Revision consultation involved wading through an awful lot of turgid and often contradictory material provided by Cherwell. Alan Lodwick did most of the work on our behalf and also led on consulting with other action groups to make sure we didn't miss a trick. So warm thanks and vote of appreciation for Alan. He is tireless and meticulous in bringing his wealth of Planning experience to bear in defence of the village and our Green Belt. 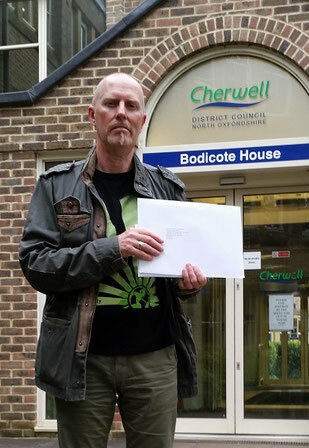 Cherwell District Council`s plan to develop Green Belt land north of Oxford is unsound and unlawful, says Chairman of the Begbroke & Yarnton Green Belt Campaign (BYG), Giles Lewis which today filed its Representations on the Cherwell Proposed Plan Consultation via its lawyers. Download the PDF below to read the full release. CPRE Cherwell South District object to the basic premise of this proposal as Oxford City have not provided proof, via an EiP that there is an ‘unmet need’ and so this review of the Cherwell Local Plan Part 1 is premature. “Inappropriate development is, by definition, harmful to the Green Belt and should not be approved except in very special circumstances”.